Knopf Publishing Group, 9780385352819, 368pp. 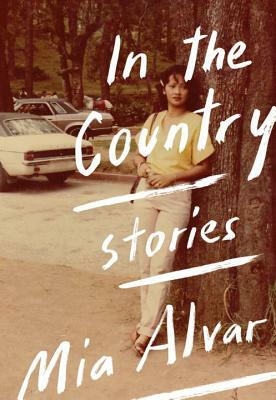 These nine globe-trotting, unforgettable stories from Mia Alvar, a remarkable new literary talent, vividly give voice to the women and men of the Filipino diaspora. Here are exiles, emigrants, and wanderers uprooting their families from the Philippines to begin new lives in the Middle East, the United States, and elsewhere and, sometimes, turning back again. A pharmacist living in New York smuggles drugs to his ailing father in Manila, only to discover alarming truths about his family and his past. In Bahrain, a Filipina teacher drawn to a special pupil finds, to her surprise, that she is questioning her own marriage. A college student leans on her brother, a laborer in Saudi Arabia, to support her writing ambitions, without realizing that his is the life truly made for fiction. And in the title story, a journalist and a nurse face an unspeakable trauma amidst the political turmoil of the Philippines in the 1970s and 80s. "In the Country" speaks to the heart of everyone who has ever searched for a place to call home. From teachers to housemaids, from mothers to sons, Alvar's powerful debut collection explores the universal experiences of loss, displacement, and the longing to connect across borders both real and imagined. Deeply compassionate and richly felt, "In the Country" marks the emergence of a formidable new writer. MIA ALVAR was born in Manila and grew up in Bahrain and New York City. Her work has appeared inOne Story, The Missouri Review, FiveChapters, The Cincinnati Review, and elsewhere. She has received fellowships from the Lower Manhattan Cultural Council, Yaddo, and the Djerassi Resident Artists Program. A graduate of Harvard College and Columbia University, she lives in New York City."